Let your little princess flaunt her carefree avatar wearing this stylish tee from Stop. 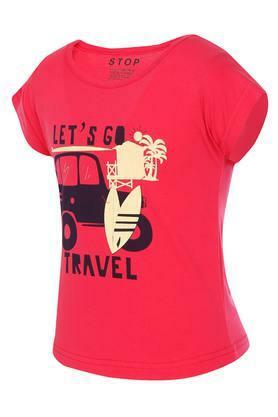 She can wear this printed tee all day long, thanks to its comfortable good quality fabric. 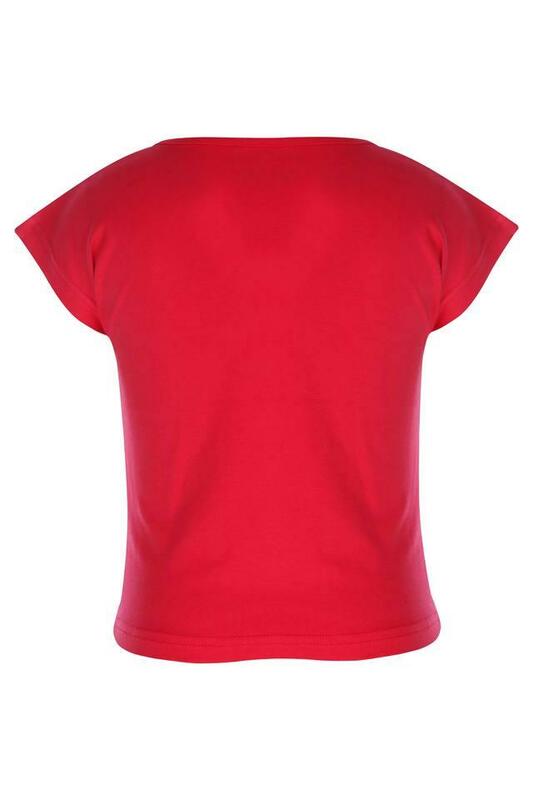 It features a round neck and short sleeves which adds to its design. 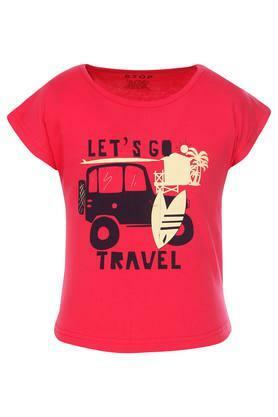 This tee will surely be on the wish list of every fashionable kid. Make your daughter wear it with a pair of jeans and fancy shoes to complete her casual look.